1978 saw the emergence of agility competitions for dogs. The Crufts halftime show featured a spectacle, similar to common horse-jumping shows at the time, in which dog owners guided their dog through an obstacle course using only gestures, commands and expressions. Since then, dog agility has become a widely recognised sport, and many competitions are held around the world each year to admire the dogs’ athleticism, as well as the inspiring bond between pet and owner. If you are thinking about introducing your dog to agility training, this article will act as a handy guide to detail the benefits, and offer some tips on how to ease your dog into the sport. Dog agility can reap many benefits for both dog and trainer; the most obvious of these is exercise. Introducing your dog to agility training will give it a new outlet to improve health and fitness. 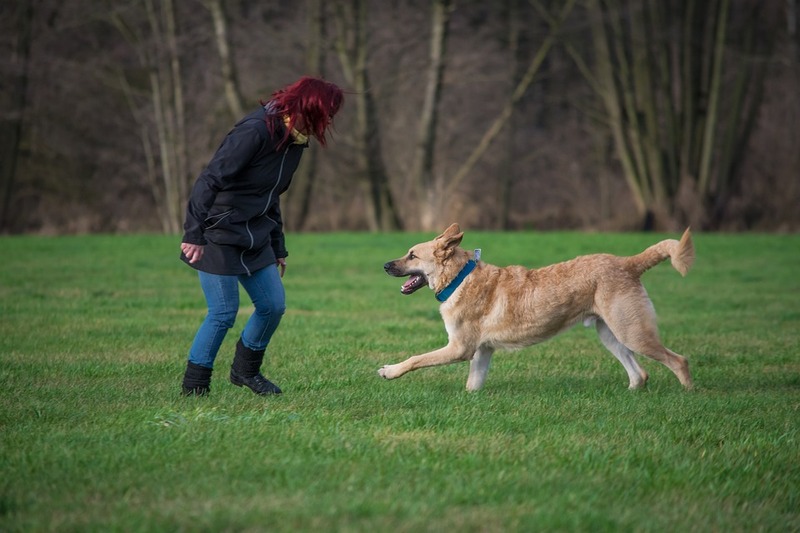 In addition, you, the trainer, will also be getting a lot of exercise, due to the amount of running alongside your dog to help guide it round the course. This is, of course, because dog agility is not simply about the dog, but is predicated on the teamwork of both dog and trainer. As a result, introducing your dog to dog agility can also strengthen the bond between you and your pet hugely. Age – a dog that is too young or too old will not be suitable for agility training, and putting them in such a position could be dangerous. A dog must be a minimum of twelve months old to begin agility training and must be a minimum of eighteen months to compete. There is no official maximum age for a dog to take part in agility training, however, an old dog will be much more susceptible to injury, and forcing it to undergo intense training is cruel. Make sure when dealing with an older or younger dog that you adjust the intensity accordingly. Younger dogs will need to have much smaller bars to jump over, and old dogs will need to perform less often and more cautiously. Breed – the breed of your dog must also be a consideration. Different breeds have different strengths and some are not entirely cut out for agility training. Border Collies are undoubtedly the top breed for agility training due to their superior speed and obedience. Contrastingly, Mastiffs are much less agile, and the short legs of Corgis will have more difficulty in performing high jumps. Once you’ve determined the type and intensity of training, it’s time to set up your course. Dog agility courses are comprised of numerous obstacles, hoops and hurdles. Getting official equipment can be expensive, but luckily most people will be able to make a DIY dog agility course using objects from their own home. Jump bar – probably the most simple piece of equipment, jump bars can made from a huge variety of objects. All you’ll need is something long and thin, such as a curtain rod or even just a stick or twig, and two objects of equal size to balance it on. This can be anything – from boxes to pot noodle pots – just remember to get varying sizes of objects if you wish to adjust the height. Tunnel – A child’s collapsible plastic tunnel would be of great use here. If that is unavailable, however, making a tunnel out of cardboard boxes is also a viable option; just make sure that your custom tunnel is plenty big enough for your dog to get through. Weaving poles – long vertical poles can be replaced with a host of objects to generate a usable piece of equipment. Building poles out of PVC pipes is a very simple process and will create an inexpensive set of vertical weaving poles. Jaycliffe Pets are dedicated to ensuring your pets receive the best quality care. Our kennel services are not just a place to house your pet – they are a home away from home. We provide a fun, friendly and safe environment for your pets, and make sure they are treated with personal love and care. For more information, call our friendly team today.